The Government of Odisha Finance Department is whole responsible for utilization of monetary activities of the state. It manages activities like mobilization of resources, how to raise the Tax and Non-Tax Revenues, borrowing funds from different sources like internal debt, Small Savings and Provident Fund e.t.c. But the state government has to efficiently use of all available resources like Annual Budget, execution of budget, how to manage public expenditure, keeping account of Receipt into expenditure from the public account of the state. We as a Government should make sure accountability of public money through internal and external audits. Through this audits we can also take financial advises in pensions, credit facilities from banks and other financial institutions to serve the people of state. 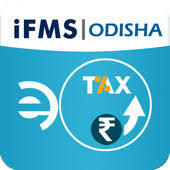 In IFMSOdisha we have other categories like Finance Department, Controller of Account, e-Services, Directorate of Treasuries, Stake Holders and Citizen Services. Finance department controls budget estimation, distribution and debt management. Controller of Account takes care of GPF Queries, Teachers PF and Pension Preparations. E-Services controls all Electronic Payments, Challans, Account Corrections. Directorate of Treasuries controls iOTMS, Cyber Treasury, Treasury Monitoring and Deposits. State Holders controls Bank and RBI Interfaces, Account Reconciliations. Citizen Services controls Pension Payments, Reports and Challan queries.